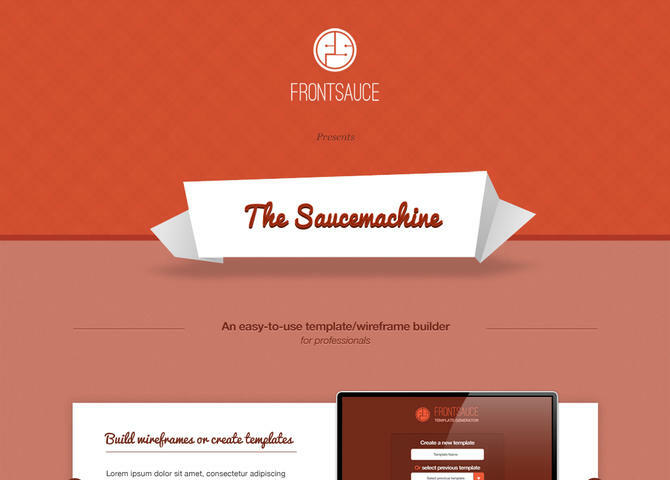 The Saucemachine is here to help you create wireframes quickly. Based on the Foundation Framework, The Saucemachine spits out the base code for any website, including id's & classes. Once exported you can design your website further without typing the dreadful and time-consuming basic wireframe. Visit The Saucemachine | Create Wireframes with ease.